Price your items competitively with DOTmed's Blue Book - Giving you access to over 32,000 successfully sold auctions and listings at your fingertips. The Blue Book is only open to Elite Level and Premium Package users. General Auction - Managed or Self Managed online auction from dealers or end users. Price is confirmed accurate. Clean Sweep Auction - Liquidation auction pricing on end user supplied equipment. Price is confirmed accurate. Dealer Submitted - Classified listings submitted by dealers on DOTmed.com. Price is not confirmed accurate. Credit Card Sales - Classified listings posted by sellers purchased via PayPal or Credit Card. Price is confirmed accurate. 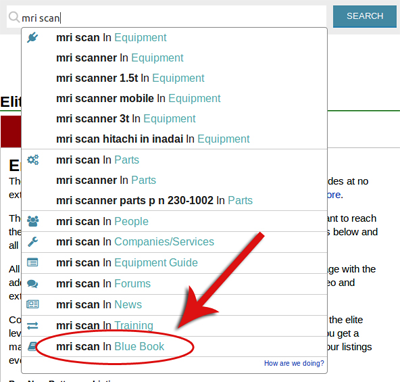 Make the DOTmed Blue Book better by submitting your recent sales. To show our gratitude, we will give you Featured Listing Credits for every submission. Submit your sold items and earn credits to promote your current inventory. 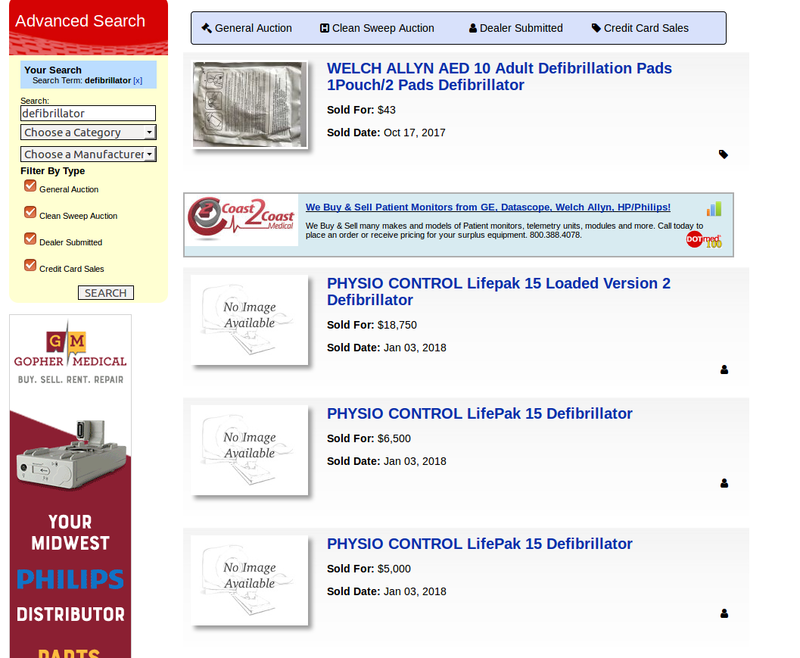 Have a database of sold items and want to contribute them to the Blue Book? Contact us.